Bolesworth International will return this summer to take centre-stage with another bumper production showcasing world-class sport and blockbusting family entertainment. 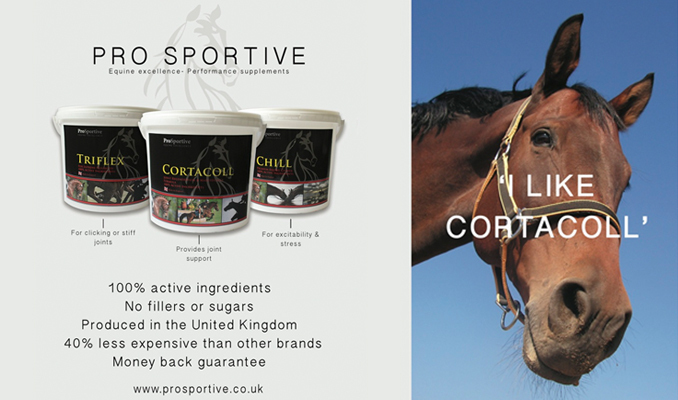 Running again at CSI**** level, the four-day show takes place in the spectacular grounds of Bolesworth Castle, Cheshire from June 16-19 and promises an exciting mix of thrilling showjumping less than two months before the Rio Olympics, dressage to music, the unmissable puissance, para showjumping, an invitational jockey challenge and Bolesworth’s flagship elite young horse auction. A prize fund of almost £60,000 has been announced for the final day’s headline Bolesworth International Grand Prix, and if that is not enough to whet the appetite, then show-stopping evening performances from pop bands Atomic Kitten, 5ive and Retake That are also in store. Numerous other family attractions include a new equine learning zone that will feature rider guest appearances, camel racing, a funfair, action-packed displays, bistro and champagne bar, fine food, fashion & lifestyle zone, plus a shop until you drop experience guaranteed by around 130 retail outlets. Getting Bolesworth under way on Thursday, June 16 will be Ladies’ Day, with a team of celebrities on the lookout for Miss Bolesworth, while a new competition sees top National Hunt jockeys battling it out against the showjumpers, plus dressage to music – a new event for Bolesworth won last year by British star Michael Eilberg – and top-level showjumping with a world-ranking class offering five-figure prize money, in addition to Retake That performing. Friday’s theme is Business Networking Day, with showjumping and the puissance being accompanied by the elite auction, which will see the sale of 12 of the finest bred yearlings sourced throughout Europe, and was such a success at Bolesworth last year. Friday evening will also see a performance from English boy band 5ive, plus an “Official After Party” with DJ and fully licensed bar in the Bistro marquee until 2am. 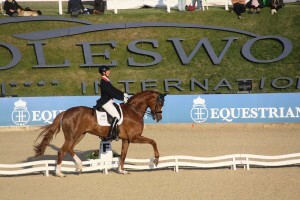 On Saturday, para showjumping makes its Bolesworth debut in the Castle Arena, while the International Arena hosts the two-star grand prix final, before evening entertainment features a world-ranking class against the clock, celebrity camel racing, and the event’s feature concert by chart-topping Atomic Kitten. And Sunday’s action, highlighted by the International Grand Prix that will see many of the world’s top riders battling it out for a prize won last year by young British prospect Yazmin Pinchen, also includes a fancy dress mini major challenge and another appearance from the racing camels. 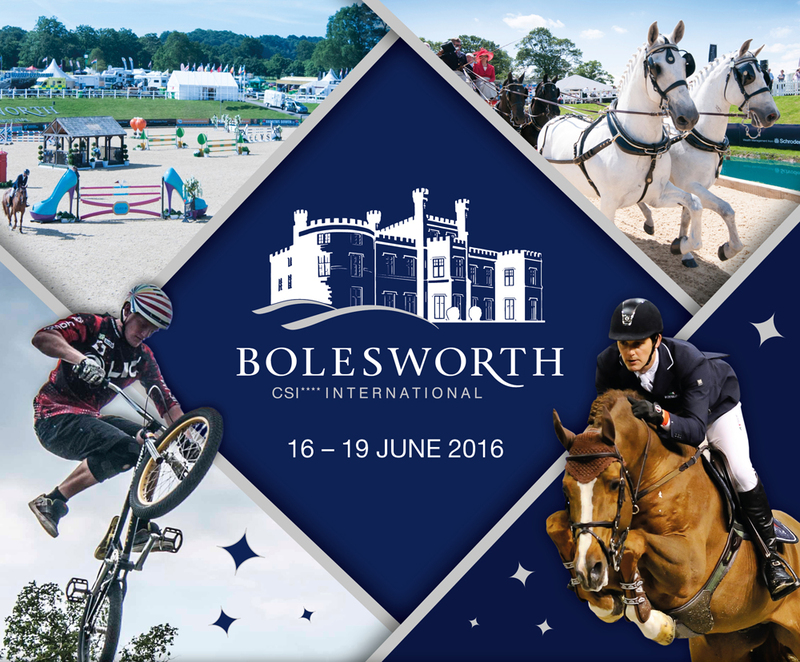 Looking ahead to Bolesworth 2016, show president Nina Barbour said: “We have put together another fantastic four days of non-stop action in the very special setting that we have at Bolesworth. We look forward to welcoming visitors, new and old, for what I know will be an unmissable event. A wide range of hospitality packages are also on offer, set ringside to the stunning Bolesworth main arena. Prices start at £80 per person, with guests enjoying fine dining and a VIP bar and top-class entertainment. 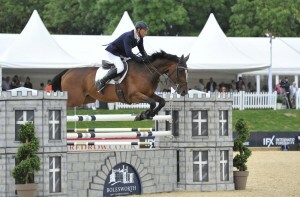 The Bolesworth Bistro and a champagne bar will also be in full swing. Keith Shore riding Mystic Hurricane in the 2016 Bolesworth International CSI*** Grand Prix sponsored by Redrow.